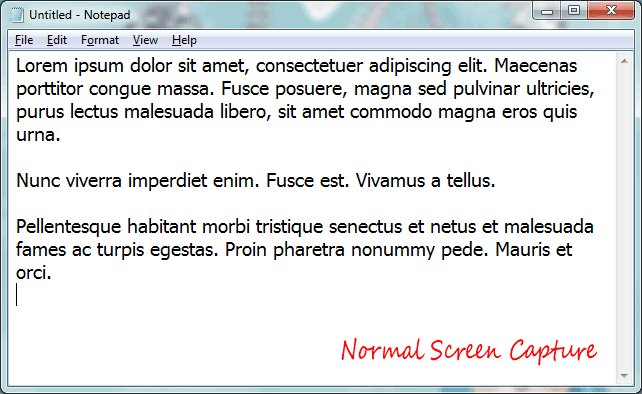 If you need to quickly capture a screenshot of any program window inside Windows, just bring that window to the foreground, press Alt+Print Screen and paste the image from the clipboard into MS Paint. That's it. You don't require a screen capture utility for basic screenshots but there's one little problem with the screen that you just captured. 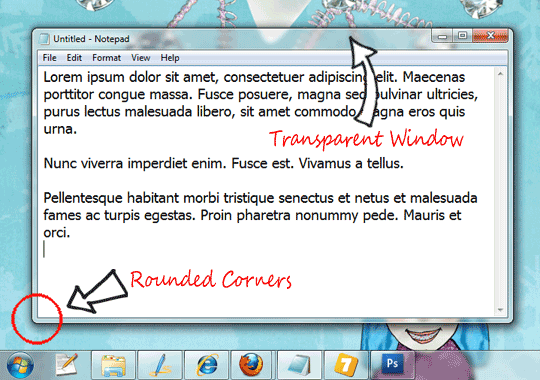 Since XP, program windows have had rounded corners and, if you have enabled Aero in Windows 7 or Vista, the window will also have transparent glass-like borders as shown the screenshot above. 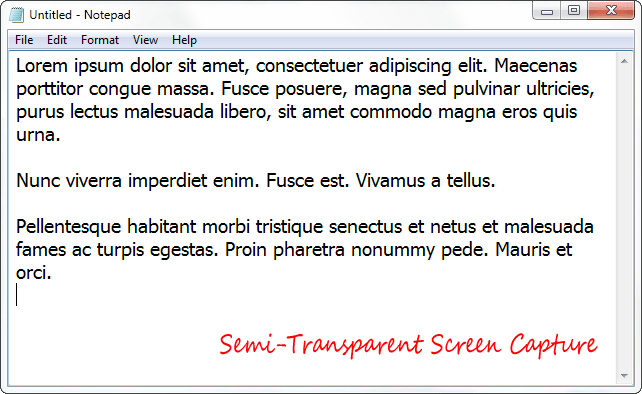 If you are using the regular print screen key or any of other screen capture tools, they may not be able to capture these "rounded corners" and second, the background wallpaper will also become visible since the captured window is translucent. 7capture is a free screen capture software for Windows 7, Vista and XP that can easily fix both these problems. 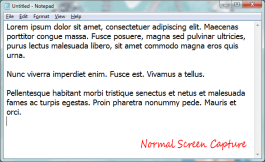 The software can not only capture rounded corners of windows but it will also hide the desktop background* from the screenshots. 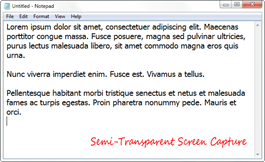 You can then export your screen captures as a semi-transparent PNG or any of the other popular image formats. 7capture is a free for both personal and commercial use. The software is available for XP, Vista and Windows 7 but the downside is that 7Capture won't capture the drop-shadows (see workaround) and there's no option to capture a portion of any window. Thanks Abhishek. [*] You can create a fake white background by placing an empty notepad window in maximized state just below the screen that you are capturing.